2) the web service that serves translate requests running on the Microsoft cloud. The MT service offers translation in 36 different languages for users across the globe through UI and API. Testing the MT cloud service without user data would be like shooting in the dark. From a product standpoint, we need to answer questions like How do we prioritize languages for improvement? 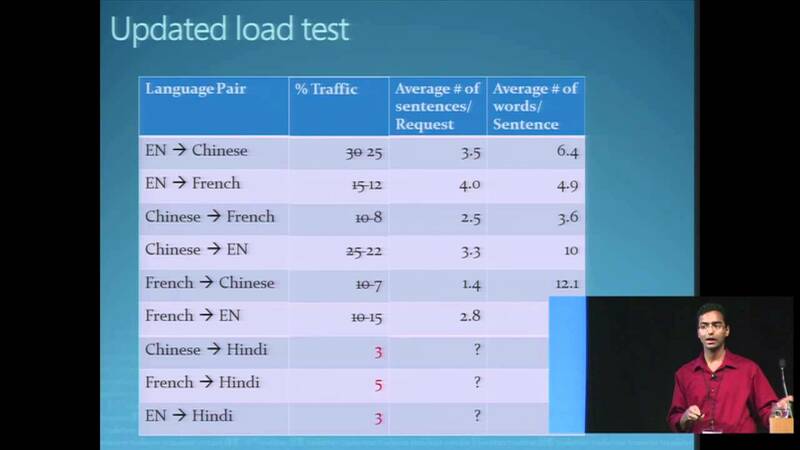 How do we divide resources in our data center for effective capacity distribution for the languages? From a test perspective we need to understand how the system is being used so that we can ensure that any new bits deployed will hold-up in production.